By giving to the Yakima Rotary Trust, you join a committed group of others who share your vision for the community. The Yakima Rotary Trust is unique in that it supports local projects that will have a profound long-term impact on our community. The role of the Trust is to provide vision, leadership and resources for projects of major scope. Most Rotarians are familiar with The Rotary Foundation which is managed by Rotary International. Its focus is worldwide. The Yakima Rotary Trust is different in that it only supports projects in our community! The Trust is managed by a Board of Trustees representing Yakima’s three Rotary clubs; Yakima Rotary Club, Yakima Southwest Rotary Club and Yakima Sunrise Rotary Club. 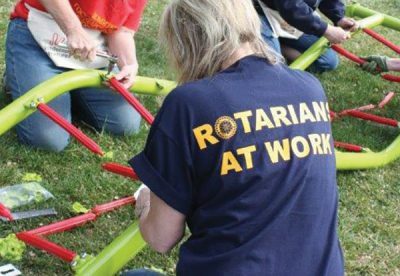 This is your assurance that all projects undertaken by the Trust will be selected by people who share the core values of Rotary and a passion for our community.